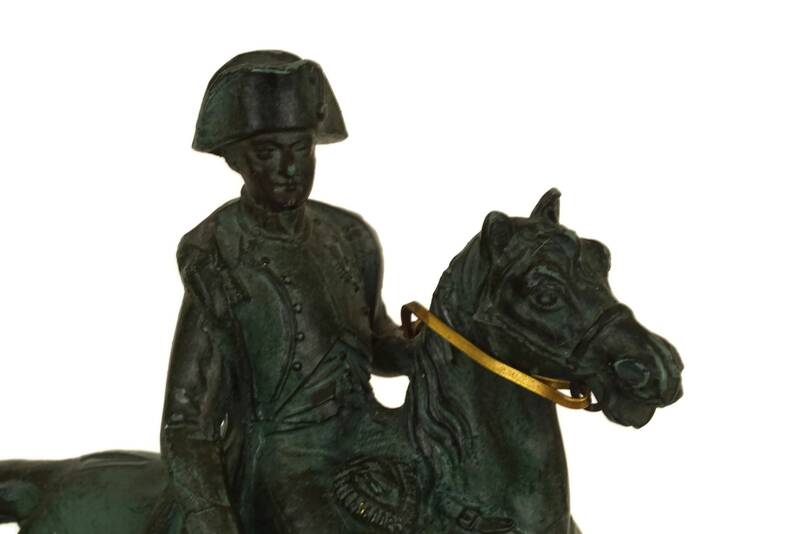 A classic Napoleon Bonaparte figurine created in France during the mid-century. 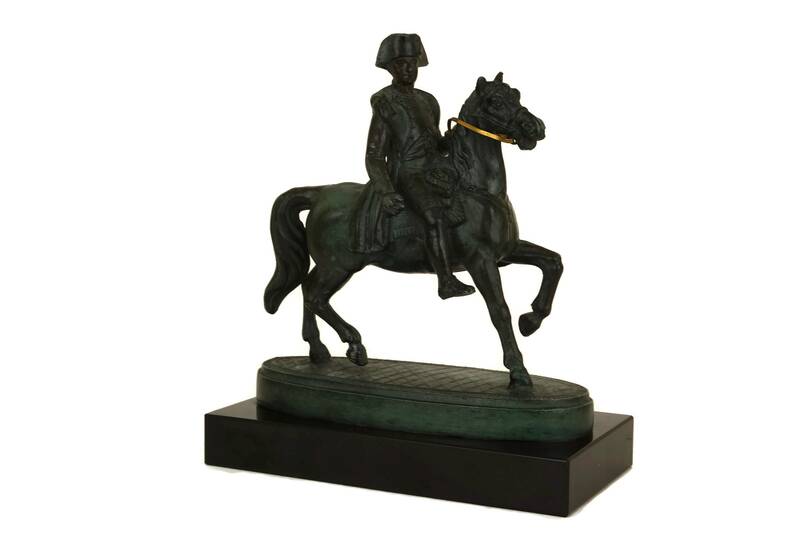 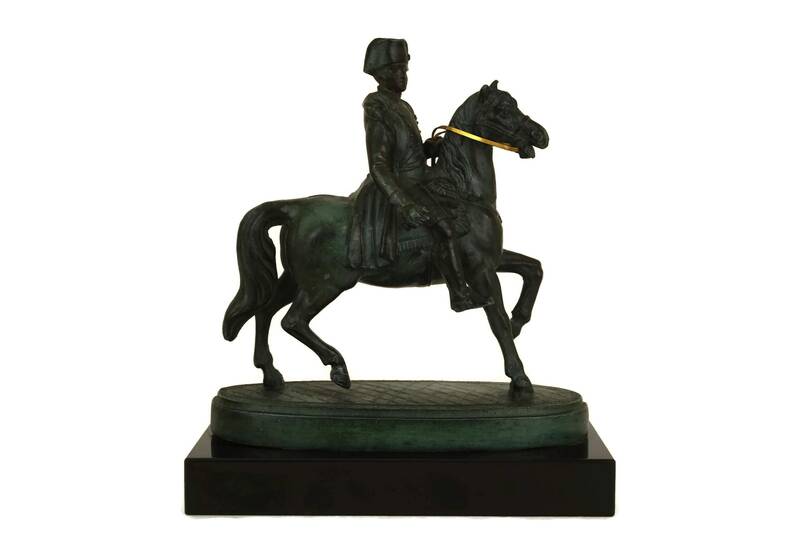 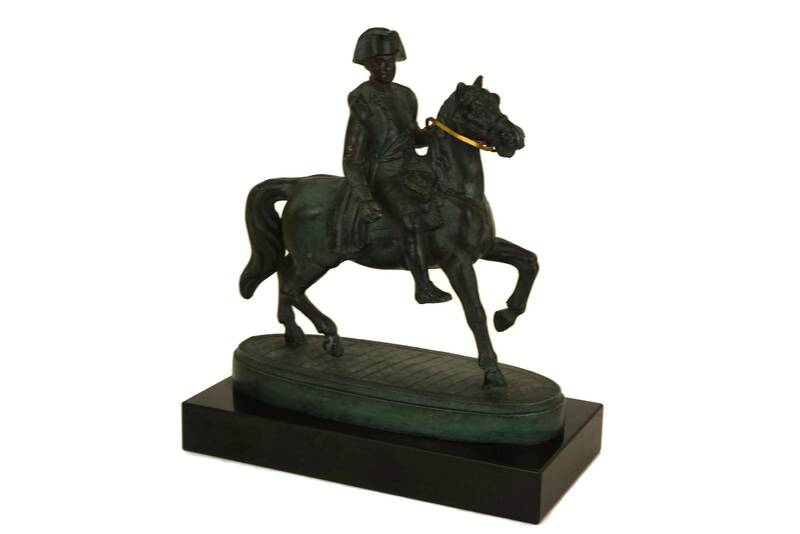 The statuette portrays the Emperor on horse back wearing his military uniform and famous bicorne hat. 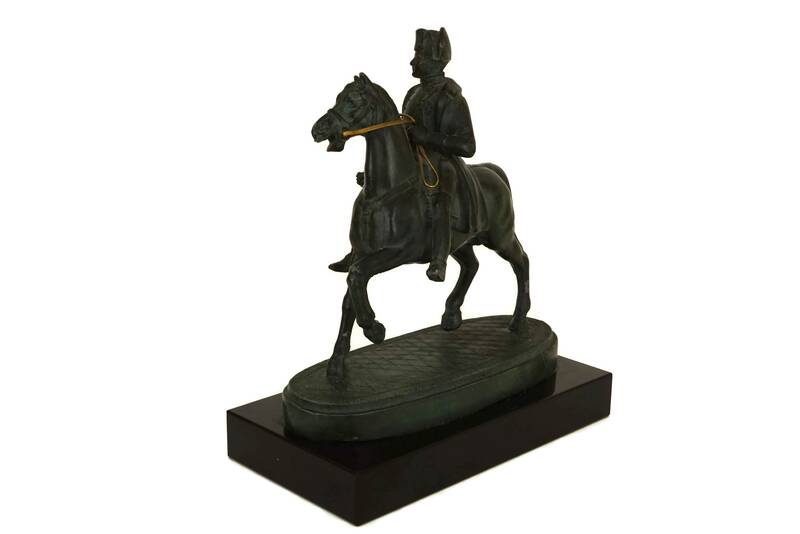 The figurine has been cast from metal and decorated in an aged bronze and verdigris patina. 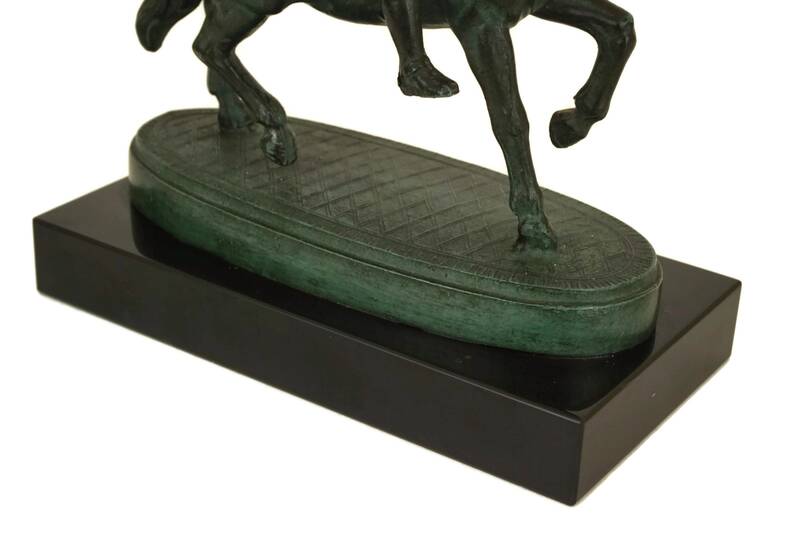 It features very fine details and is supported by a polished black onyx pedestal base. 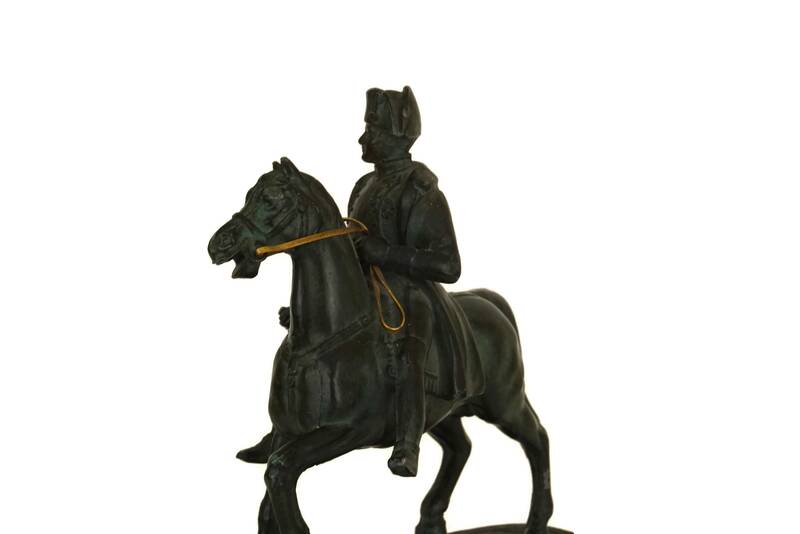 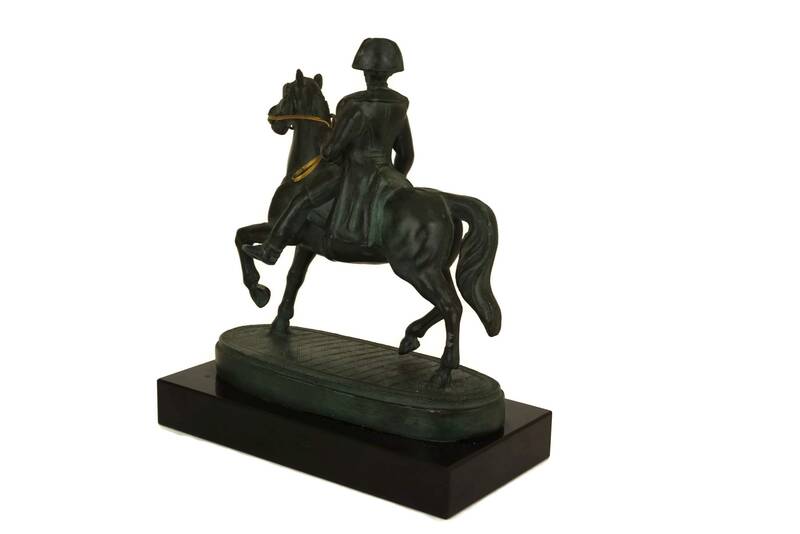 The Napoleon figurine will make a stylish addition to your collectible military decor. 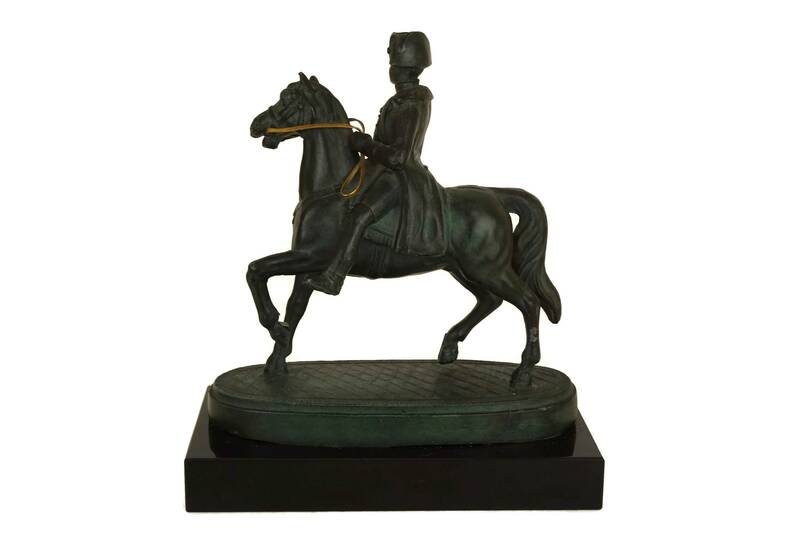 (18 cm x 15 cm x 8 cm). 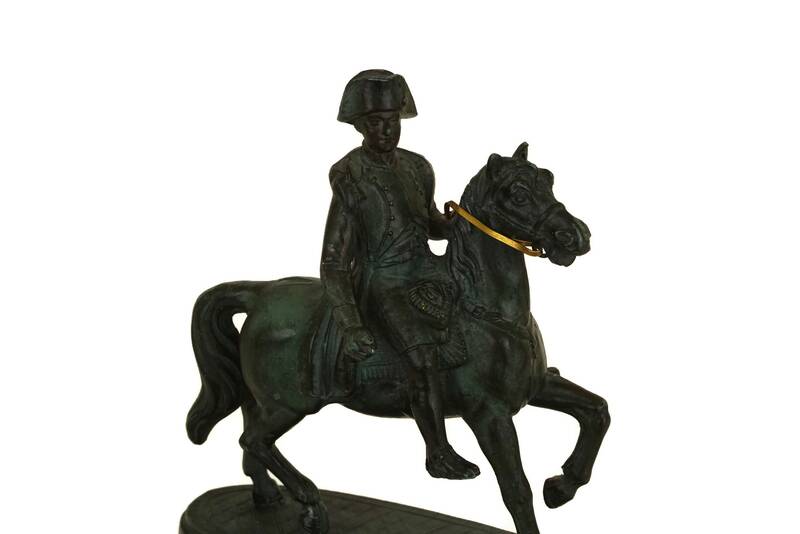 The vintage Napoleon statuette is in very good vintage condition with light signs of age and wear.